I’ve lived day in, day out in high heels for most of my adult years until I was pregnant seven years ago and my mum bought me my first pair of flats! So I have been through, and suffered all sorts of aches, pains and blisters that heels can bring. I remember tottering about on evenings out in 4 inch strappy heels, spent three days wandering the streets of New York in stiletto heeled boots and venturing the 30 minute walk to work in denim strappy mules one summer! These days, I’m a little more sensible and wear slightly lower heels and resort to flip flops in the summer but I do have a couple of pairs of evening shoes and some high boots that I like to wear every so often that do leave the balls of my feet a little sore after wear. 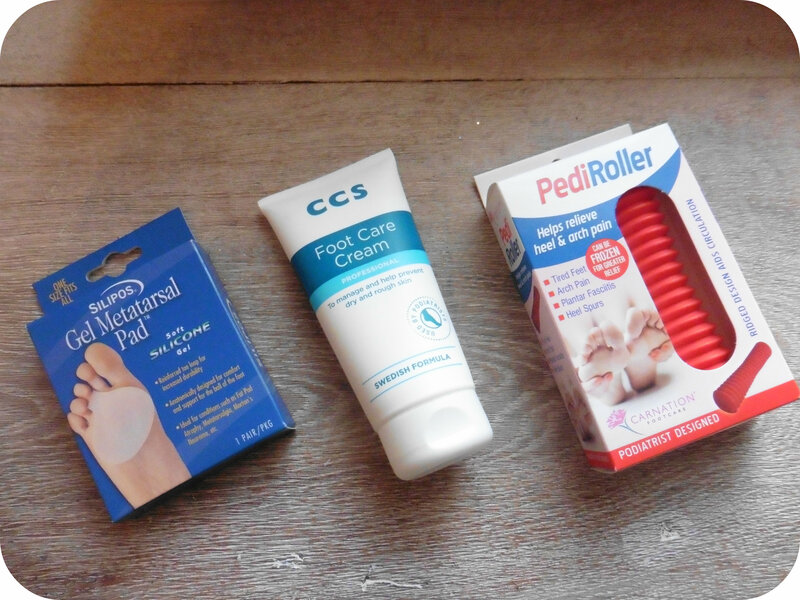 So I was pleased when Premier Healthcare sent me a few treats to help look after my feet. The Gel Metatarsal Pad immediately caught my eye as it reminded me of the gel pads I used to put in my shoes some years ago, but they always slid around. With this one having a ring to go over your toe, I was eager to try them out but was a little apprehensive as to how it would feel having something around your toe all day. With a lunch out last week, I decided to wear my high heeled boots that always leave me with aching on the balls of my feet afterwards. So before I put them on I slipped these gel pads over my toe and into my sock. I could initially feel the bit around my toe but to be honest as I started walking around and get on with my day I almost forgot they were there. What I can definitely say though is that the soles of my feet felt normal at the end of the day when I took my boots off! No aching or soreness, so these definitely work. 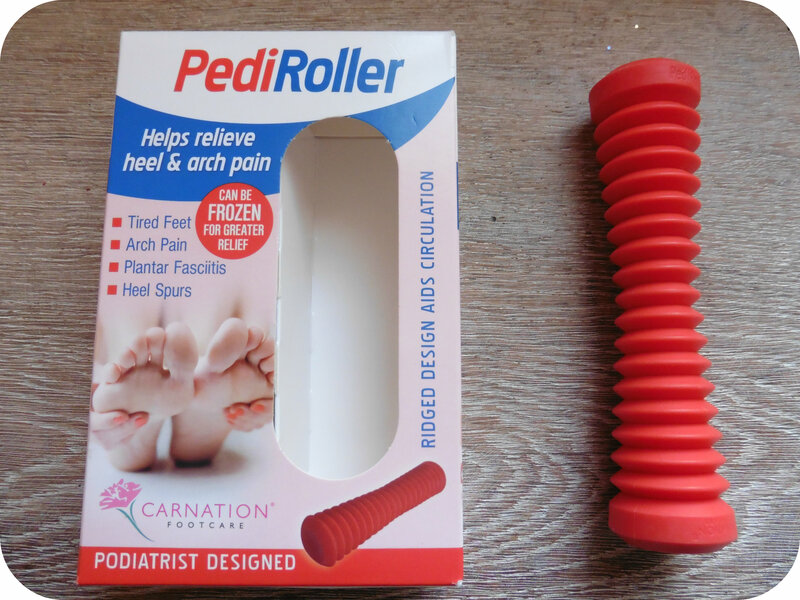 Whether your feet are aching or not, the PediRoller is a lovely treat in the evening, perfect for when you are sitting on the sofa, watching a bit of tv. It’s designed to help relieve heel and arch pain, but it gives the whole of the sole of your foot a lovely, relaxing massage by rolling your foot backwards and forwards across the contours of the roller. It gives you a lovely tingly feeling and takes away any tiredness and tension in your feet. 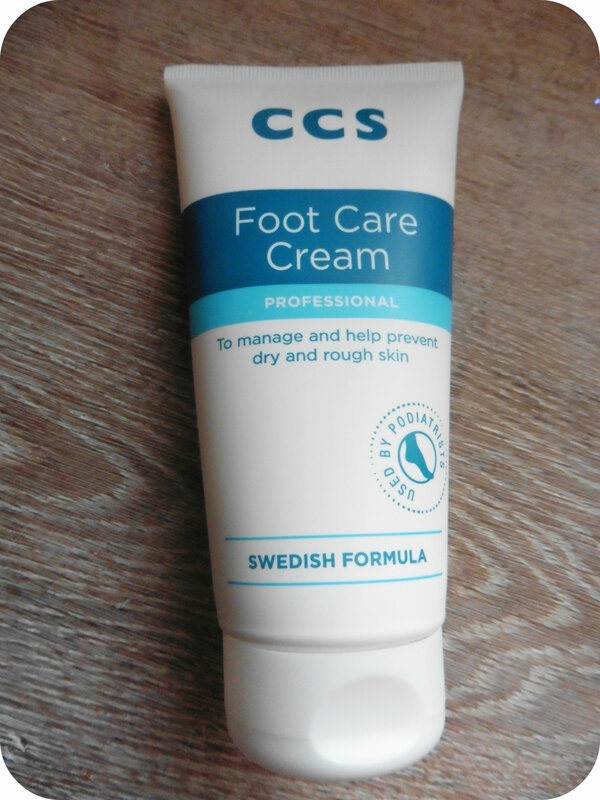 The CCS Foot Care Cream is a Swedish formula foot cream designed to manage and help prevent dry and rough skin. It can be used twice daily and a good idea is to apply at night and wear some cotton socks to bed to give your feet a real treat. They should be feeling super soft by the morning. My feet are always crying out for a moisturising cream as they get very dry and I suffered from a nasty crack last year. It’s a good time of year to get started with getting rid of dry, dead skin so that your feet will look lovely for the summer. I found this cream to be rich and moisturising, it did absorb well and had a thick, creamy texture that is needed for tough skin on feet. I try to use this each night and definitely have softer feet than I did a couple of weeks ago so will continue to use this to keep my feet in tip top condition. What not check out Premier Healthcare and see if they can help with any of your healthcare needs?